A former Russian oligarch and high-profile critic of Vladimir Putin has been charged with a murder, two days after calling for a regime change in Russia. 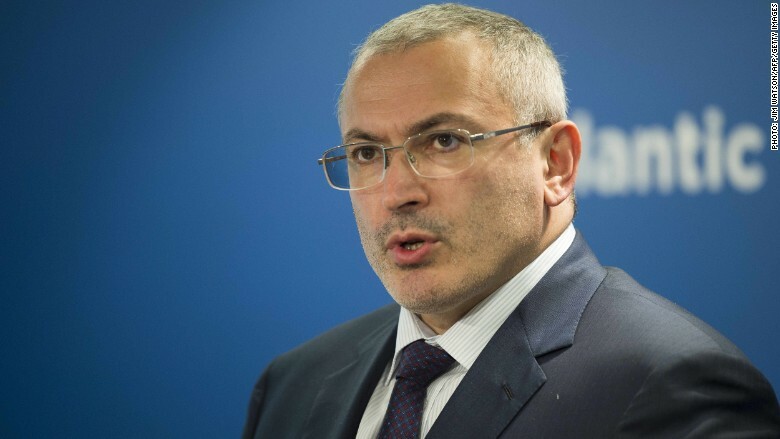 Russian authorities have accused Mikhail Khodorkovsky of organizing the murder of a local politician in 1998, and attempting the killing of four other people. He denied the charges and said they were politically motivated. Khodorkovsky lives in exile in Switzerland. The Investigative Committee of Russia said he failed to attend his hearing, and that an arrest warrant will be issued. The charges mark a new beginning of tensions between Kremlin and the dissident businessman, coming just two days after Khodorkovsky called for a revolution in Russia. "The country is at the mercy of unlawful and repressive legislation passed by an illegitimate parliament and executed by a judiciary under the thumb of the regime...it's necessary to undermine all this to whatever extent this is possible...revolution in Russia is inevitable," he said in London on Tuesday. Khodorkovsky used to be Russia's richest man. He made his fortune as the chief executive of Yukos, once the country's biggest oil company. He fell out with the Kremlin in 2003, and spent 10 years in a prison for tax evasion, embezzlement and money laundering -- charges he has continued to deny. Putin unexpectedly pardoned him in December 2013, a year before he was due for a release.